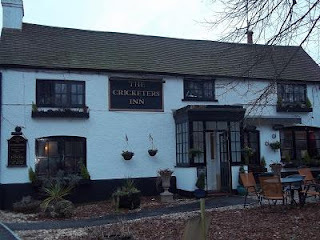 The Cricketers Inn The friendly village pub, with a great atmosphere and a good mix of real ales, open fire, fine food & real people. Bed & Breakfast. The Kingsley Centre Village shop, Post Office, meetings, dancing, lectures. Kingsley Tennis Centre provides year round, indoor, professional tennis coaching. Sing for Joy is a fun singing group for all abilities. Lowest tier of local government responsible for the civil parish of Kingsley which runs from Frith End in the north-east down to Shortheath common in the south-west. The council is a statutory consultee for planning matters, is responsible for maintaining the village greens as well as St Nicholas church and graveyard and has extensive powers under the 1983 Litter Act. Normally the council meets at 7:30pm on the fourth Thursday of each month, except December, at the Kingsley Centre. The Annual Parish Meeting precedes the April meeting and the Annual Parish Council meeting precedes the May meeting. Councillors: Roger Fletcher, Karin Clayton, Robin Gregory, Chris Rigden, Richard Coury, Claire Millhouse. Responsible for a wide range of services including refuse collection and recycling, housing, planning and many others. What most people mean when they say "the council". The local councillor is: David Ashcroft . Reponsible for overseeing police priorites and funding. Responsible for highways, education, minerals and waste disposal among other things. Surgeries by appointment only, please click here for details. Vicus Scurra Tedious, ungrammatical, unoriginal and tasteless crap from someone old enough to know better.